PORT PURCELL, Tortola, VI– The brazen robbery on One Mart Superstore in Port Purcell last evening, April 18, 2016 was reportedly carried out by four armed men, according to information reaching Virgin Islands News Online. This news site broke the news of the robbery last evening but information was sketchy at the time. And, according to the Royal Virgin Islands Police Force (RVIPF), five men are presently assisting Police with their investigations into the robbery. It also noted that a round was discharged by the robbers; however, no one was injured. “In the incident, four armed men with their faces covered entered the store around 10pm last night and demanded money from the cashiers. After discharging one round in the air, the men then fled with some of the store’s proceeds. No one was injured in the incident,” a press release today April 19, 2016 from the RVIPF stated. 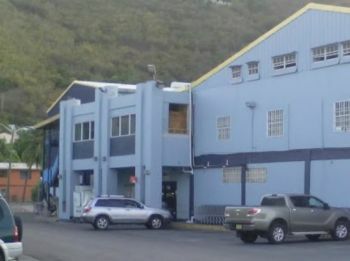 Police are asking for persons who witnessed the incident or may have information that could lead to the arrests of the persons involved to contact the Criminal Investigation Department via the RVIPF three-digit access number 311 or to the contact the Intelligence Department at 368-9339. Persons are also invited to call the Miami-based Crimestoppers number 800-8477 and give this information anonymously. Popular shopping establishment One Mart Superstore, located in Purcell on the main island of Tortola, was allegedly robbed this evening April 18, 2016. 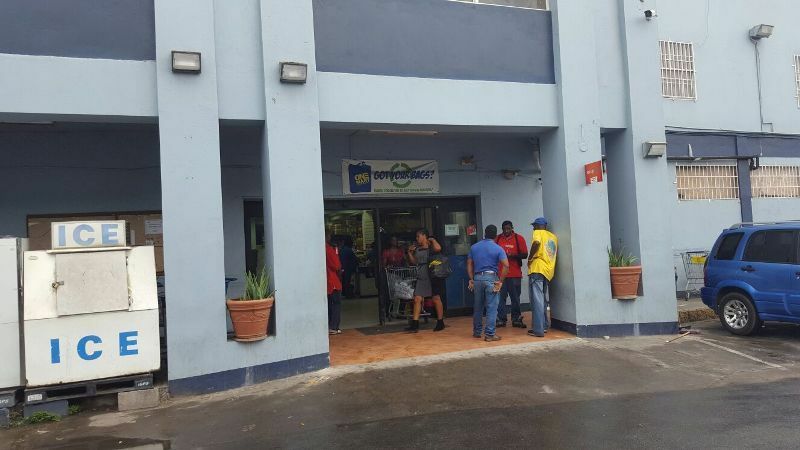 According to information reaching our newsroom, one man was held in relation to the alleged robbery of the supermarket. Police Information and Press Officer Diane Drayton confirmed the incident this evening with this news site. “I can confirm that Police reported to the scene of a robbery at One Mart this evening. No one was injured. Police are presently conducting inquiries,” she said. 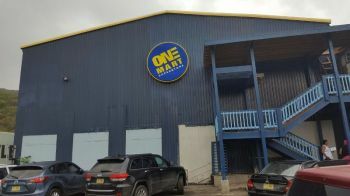 Efforts to reach the owner of One Mart Superstore, Minister for Communications and Works Honourable Mark H. Vanterpool (R4), proved futile up to post time. We will bring more details as they become available. This guy is just crumbling all around. At least no one was hurt. Thats politricks at its best but it doesn't warrant or excuse this type of Phuckery. Everyone has a conscience and has to give account for whatever malice and wrongdoings he/she is doing to the country and its people when they took oath and for the other non-elected persons that are in authority to carry out the work professionally under good governance and with utmost due care. Most politicians are greedy, about self and their cliq and get easily caught up in corruption - before you know it, it becomes a web of deception; They all see and know and keep each others secret and the ones that are not directly intertwined in the circle will keep secrets as part of the alliance to not cause any political stress or scaring. Politics today is no different from cults - the members are mind-altering, power tripping egotistical radicals that are in for overnight power and wealth. It's only a matter of time - I may not live to see any of these society ill doers receive due justice but it will happen. I will not however condone or support the eye for an eye practice where the innocent is put at risk or always walking on egg shell, for fear of the little freedom we have been put on the griddle. We are repaying enough to correct their wrongdoings so to add more grievances such as armed robbery or break-ins, simulated threats or bullying - is unacceptable. Go strike, march/protest or cause an uproar but do not put me or my family in the firing range and call this reaction justice - its not, its ignorance for one may never know what the outcome of these armed-robberies will be. We just need to do our part and be good stalwarts and not fall into their traps. We put them in, we can take them out - and not hurt ourselves by becoming a part of statistics which grants them the distractions and satisfaction they are hoping for. Why do you think is youths who did the robbery . Were you there? I don't think you should blame all the young men for everything that is going on. Yes, there is some RATCHET young men on this Island and there is some young men on this Island who is positive, stay out of trouble, go to college and do what is right. The same people who did the robbery is people who shop in the supermarket. They shop and plan to rob the store. Remember, someone is always watching and planning. The owner can afford to hire serious and trained armed security to protect his business and employees. He must have been a fool. So glad they caught him and glad no one was injured. They fire the only serious security officer they had for doing a good job...there is a consequence for bad decisions... Its a lesson to cooperate BVI.. Good workers are important like them or not. keep them...Listen to them. "Serious Security" til he staring down a barrel. Wickedness do not last forever. It will all be taken away in a twinkling of an eye! Bam! Hope them check this thoroughly because pope is in there for another similar case. Most of if not all these ndp's are gansters. Porpe is an @$$ or arsonist??? Broken promises no jobs for the youths what else can they do now? It only going get worse if we dont get sudden and drastic change. More robberies will continue as the thieves have weapons that civilians don't. What is the point of security - if they are not armed. The BVI need to wake up and make guns legal - of course with permits etc - else we will always be out numbered and out armed. if business places like bobbys and one mart wanna be greedy and open all hrs at night and don't want send home there workers,these are the things will be happening all the time...in st vincent no supermarket in town can't be rob at nite cuz 5 or 6 every things.. I visit New York City quite frequently to see my daughter and there is a supermarket name Path Mark and they are open 24 hours. As bad as people say New York is, no one have robbed the supermarket. Even if the stores close early in St.Vincent, they can still get rob during the day.